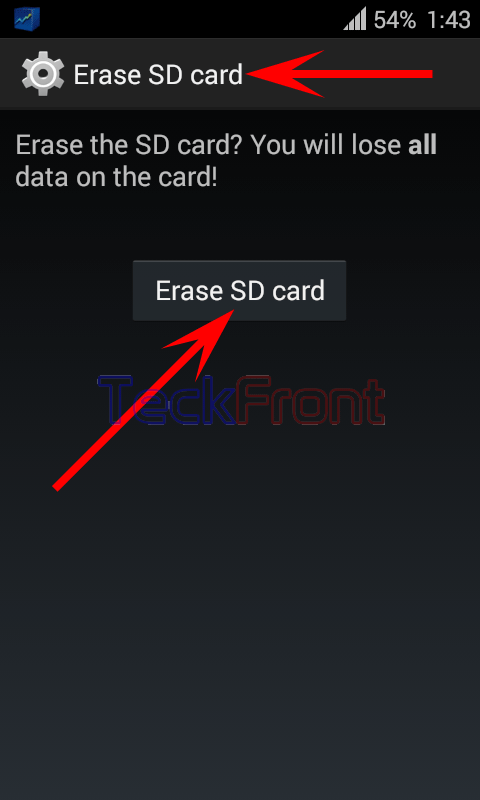 How to Erase SD Card of Your Android 4.4.4 KitKat Device? If you want to store some heavy data in the SD card of your Android 4.4.4 KitKat device and you already have enough data in it, you are advised to get the SD card empty. Otherwise, if you start adding the data in SD card, without knowing the empty space in it, it may indicate that there is no free space in SD card. So, it is better to erase your SD card as it will erase all data on the SD card, such as music files, photos, videos or other such things. It is easy to erase your SD card by following the instructions. Command Line: Settings > Storage – DEVICE > Erase SD card. 1: Follow the Command Line to open up the ‘Storage’ screen. 2: Scroll down the ‘Storage’ screen to the end of the screen. 3: Tap ‘Erase SD card’. It will open up a prompt; ‘Erase SD card’. 4: See the warning message from Android: Erase the SD card? You will lose all data on the card! 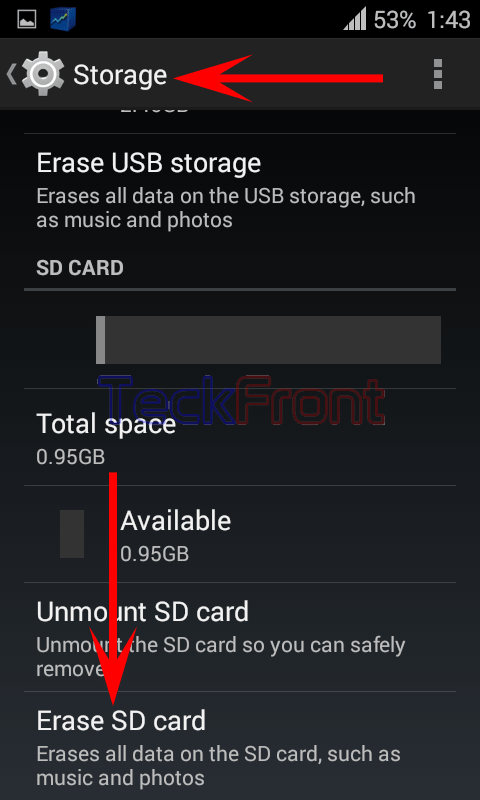 5: Tap ‘Erase SD card’ button if you want to erase the SD card and ready to lose all data on the SD card of your Android device. And you will get the SD card of your data erased in few moments. Now, you may store the stuff, you want, in the SD card. Newer How to Uninstall Apps from Downloaded Apps in Android 4.4.4 KitKat Device? Older How to Sort Apps by Size in Your Android 4.4.4 KitKat Phone?